Here I am sitting in the cafeteria at Troy University, Montgomery. I am waiting around until my 8:05 p.m. class begins…Managerial Finance, I…ugh. Needless to say, I am not excited about the class. On a typical day, I (Fletch) am getting warmed up for the WOD. I have to admit missing a WOD makes Finance even worse. I have always wanted to be addicted to some sort of fitness regimen and I never thought it would happen…ever. Days like today make me realize that yup, it happened. I am addicted to CrossFit. OK, on with the blog. There is a point to this, I promise. From my previous posts, you have read that I participated in my first 5k in October 2011 and this October (one year later), I was able to run the entire 3.1 miles without stopping. Huge milestone, people – huge! The photographer for the run posted pictures of the runners today. You should know me a little by now, so it shouldn’t be a surprise that I put together a before and after photo. The photo is below. I posted it to Facebook today and received a lot of awesome comments. And of course I sent the picture to my coaches, Josh and Wes. Now, I’m sharing the picture on my blog with all of you. I hope you enjoy it. Keep going and fight that fight. 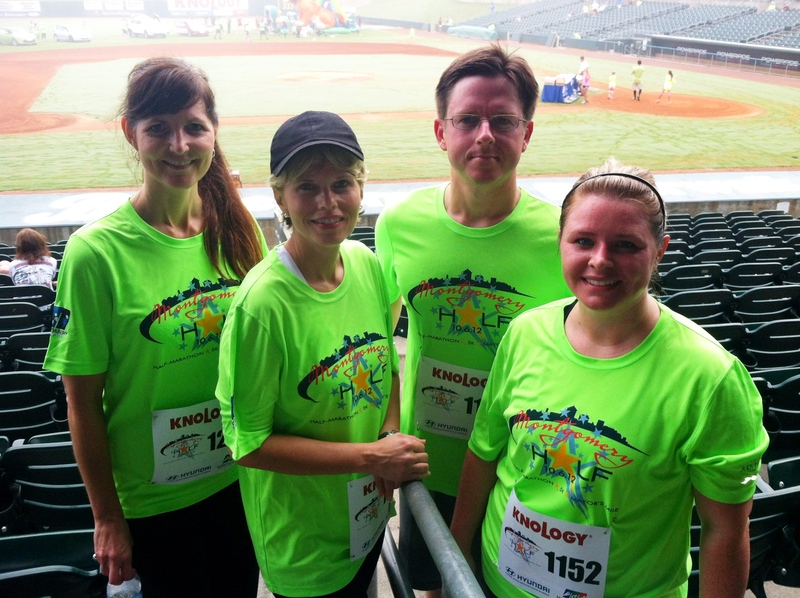 Wow, what can I say about the Capital City 5k? Let’s go back to this time last year. 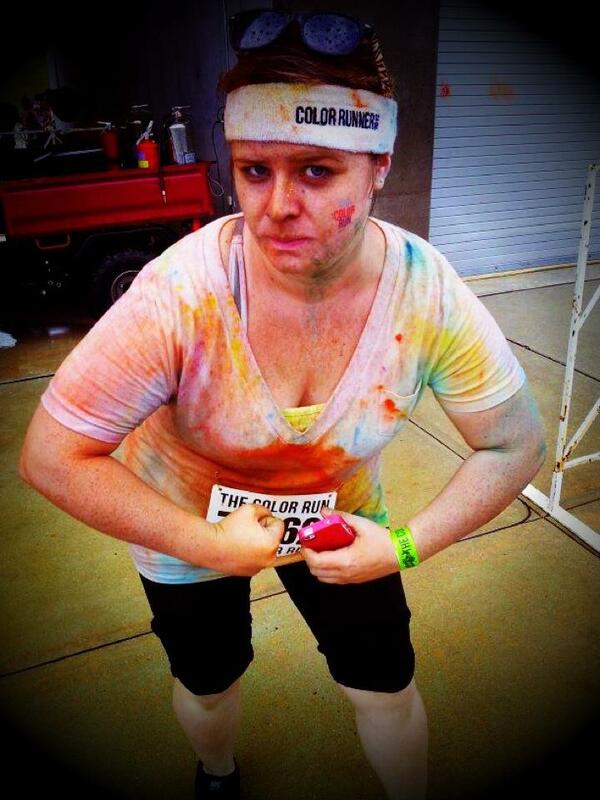 Last year on October 1, 2011, I participated in my first 5k. I was able to cross the finish line at 48:07. I wasn’t able to run much: my shins were killing me and not to mention I was extremely out of shape. A few months later in December, I joined CrossFit. We run, but we do not train for 5k’s or any other race. Just a month ago and again on this past Thursday, I was able to run one mile straight without stopping, which was a huge accomplishment. I signed up for the Capital City 5k again this year with hopes to at least run one mile. 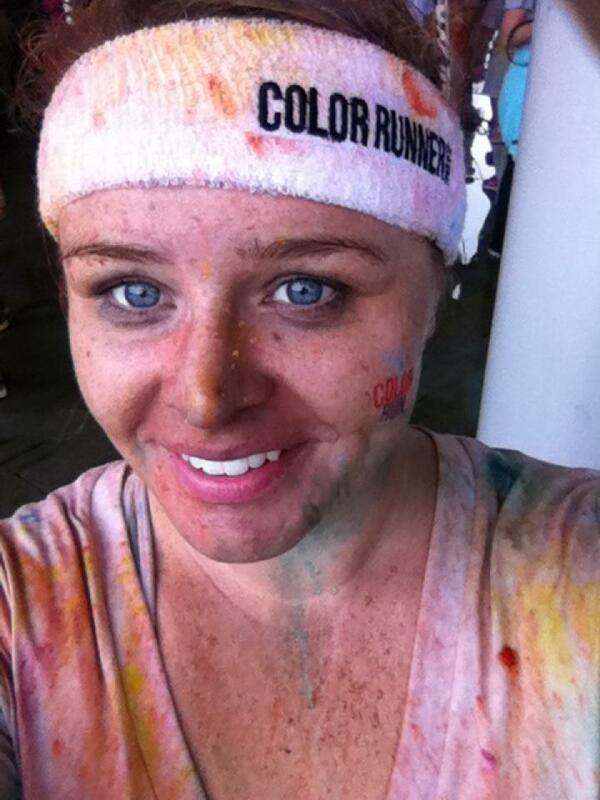 I completely shocked myself and ran the entire 3.1 miles. Like I mentioned in earlier blogs, I am my biggest obstacle. I have to literally tell myself as I’m running that I can do it. I was able to run past the Montgomery Advertiser and I thought about stopping, but then thought – heck, I’ve come this far – why stop now? I just kept thinking, man – it would feel so good to say – yep, I ran the entire 3.1 miles. I could care less about my time, I just wanted to prove to myself that I was able to run the entire way. Ahhhh…and…it happened! I crossed the finish line at 40:13. My next 5k will be in December. My goal is to finish in less than 40 minutes. I took a week off CrossFit. It was strange not going to the box after work every Monday, Tuesday and Thursday – but it was nice to cook my son his favorite foods. Even though my coach suggested I keep my eating clean, I didn’t. I ate bad – real bad. My work out struggled tonight because of it, but I hit up Publix after the WOD and bought some Paleo-friendly items for snacks and meals. My next 5k will be here soon. I am sort of nervous about it. I would like to run the entire 5k without stopping, but I’m thinking that isn’t possible. 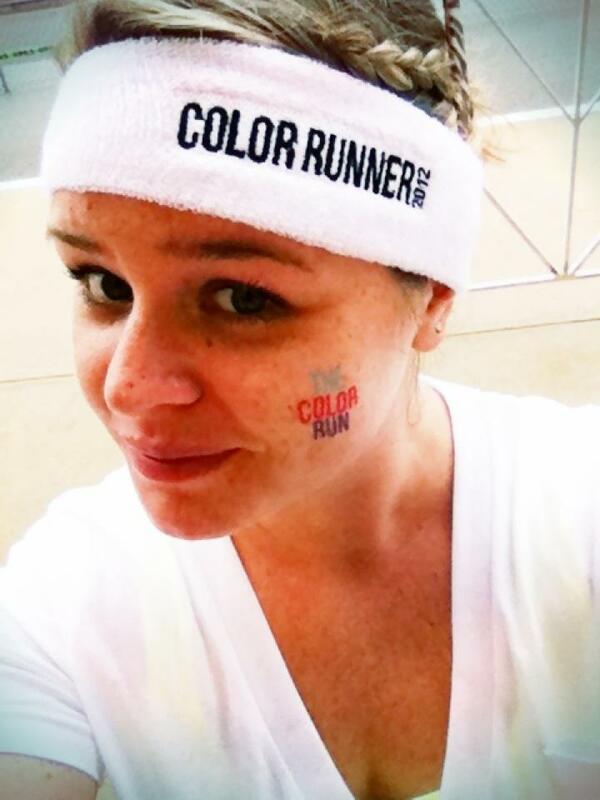 I’m trying to stay positive, but darn – running is so hard for me. I’ve got the shin splints figured out, but now I need to master my breathing. I breathe so hard when running that I feel embarrassed when someone runs with me. I have been known to hold my breath while someone passes so they can’t hear my breathing…ugh. Reading this makes me realize this yet another hurdle to jump over and conquer. It’s going to take time, but somehow – someway – I’ll make it. 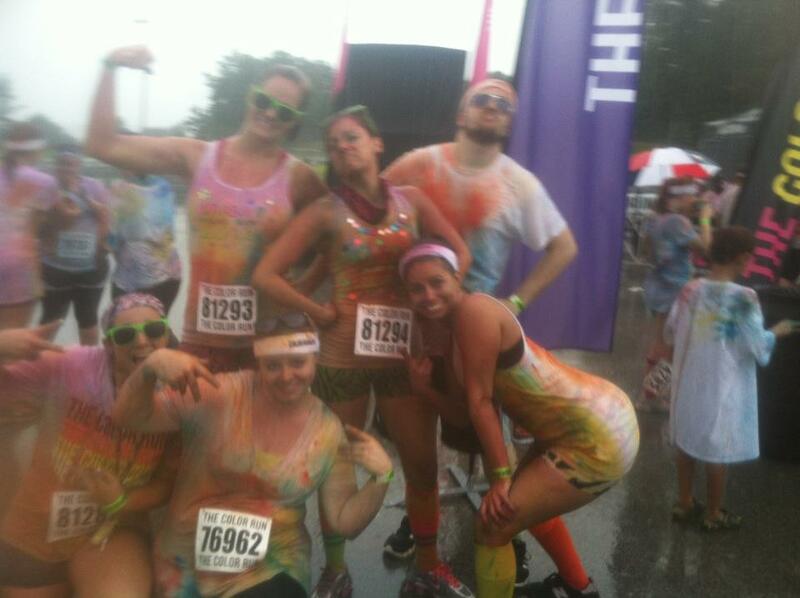 Wow, what can I say about the Color Run? 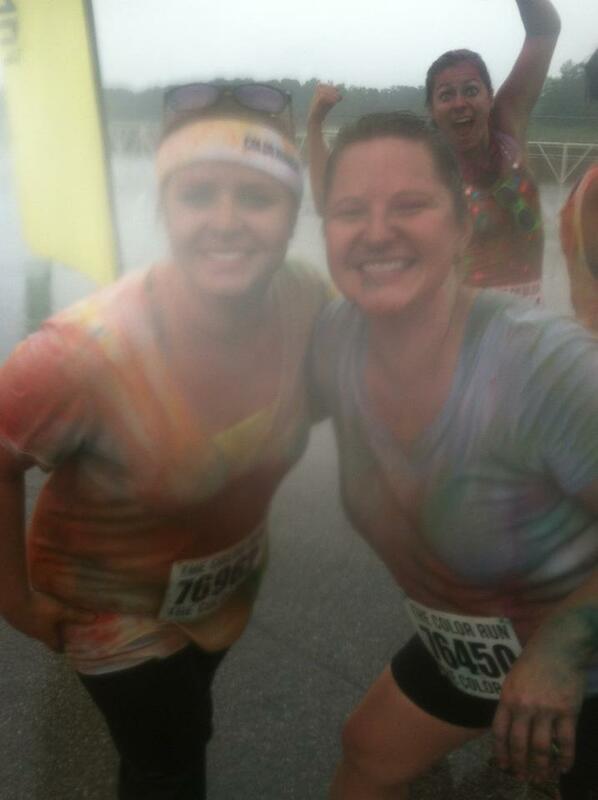 It was rainy, messy and so much FUN! It was 3.1 miles of pure enjoyment. 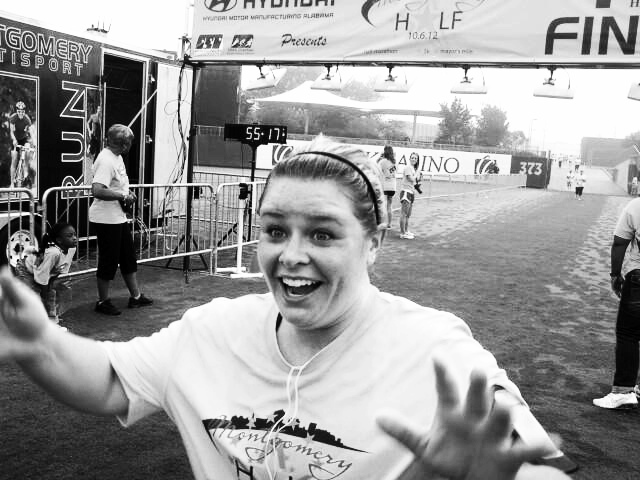 I will most definitely be registering for the 2013 run. We didn’t take it all that seriously and we walked a lot, but that’s ok – it was all in good fun. 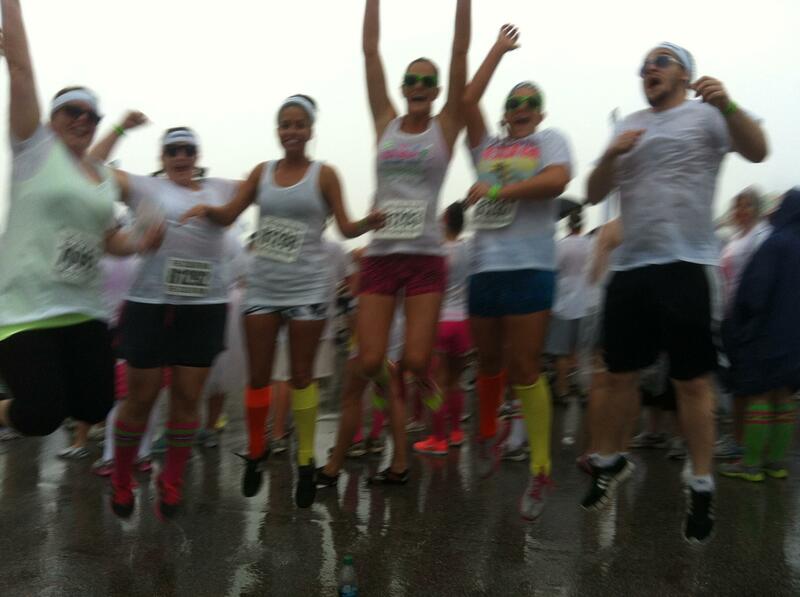 After the run, we celebrated by blasting color and dancing!!! Me and Sarah. 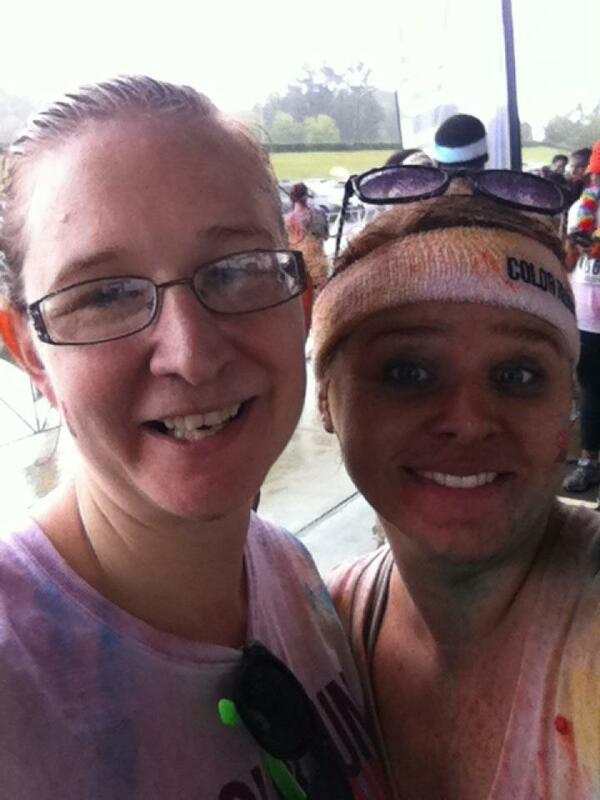 This was Sarah’s first 5k!! Trying to get it together! My Mom and Sister. 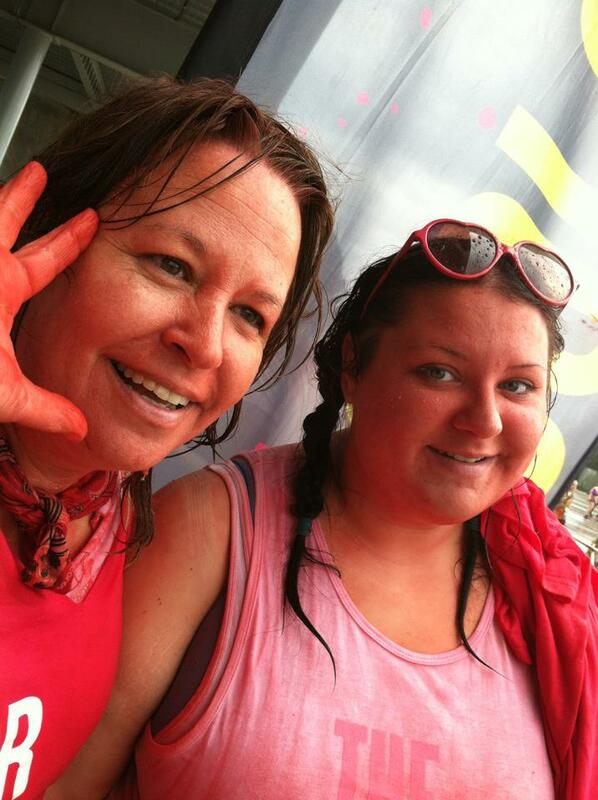 They were volunteers and threw paint at the runners. 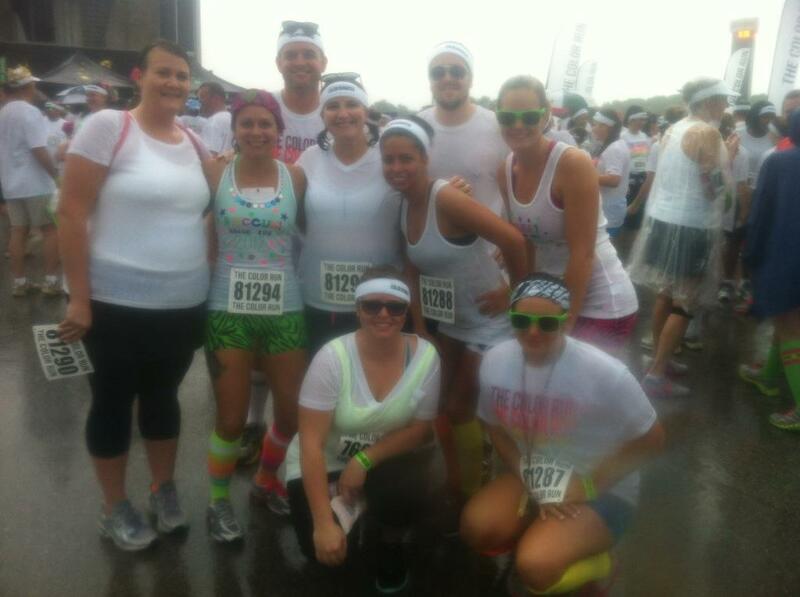 A group of friends and me are running the Color Run on Labor Day. I am super excited about it – especially since I was able to run 1600 meters straight. 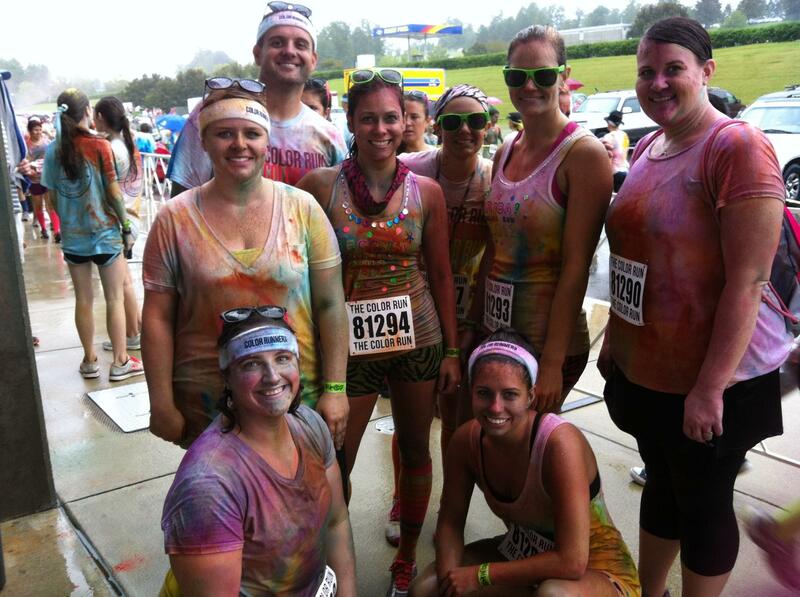 The Color Run is going to be a whole lot of fun. 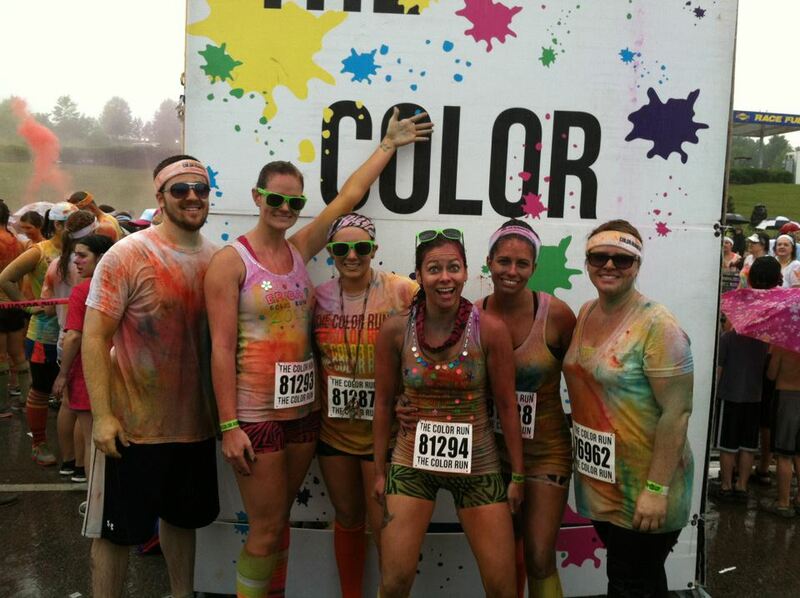 If you’re unfamiliar with the Color Run, watch the youtube video below. I hope I look like a scene from Willy Wonka afterwards! …yes, the title is the same as a Chris Brown song. And yes, it’s a love song, but for me it applies to what my life is now. My life feels like a dream. So, please don’t wake me up! Tonight was a HUGE night. 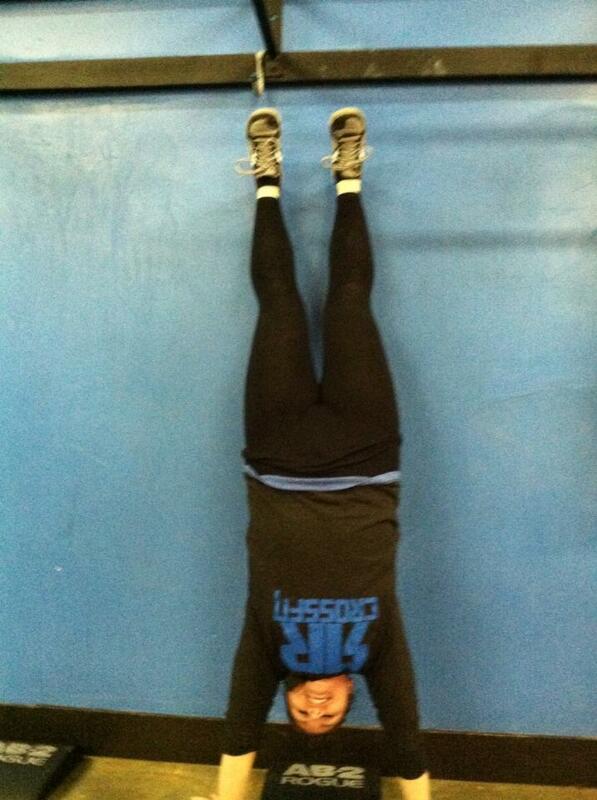 I was seriously freaking out about the WOD for tonight. I can handle power cleans and squat cleans, but when I read 1600 meter run – I was like, oh heck no! I was trying to stay positive. Rich and Josh Matlock were helping me stay positive – they’re really encouraging folks. We completed our power cleans (finally made it up to 95 pounds, woot!) and it was time to run the 1600 meters – for time. I started running and my breathing was getting out of control, but I kept telling myself – I CAN do this and I AM NOT going to stop. 400 meters done then it was 800 meters done and I’m still running…then, the breathing was manageable. It finally dawned on me, I really CAN do this. I’m not going to give up and man what a feeling it will be to actually run the entire 1600 meters straight. 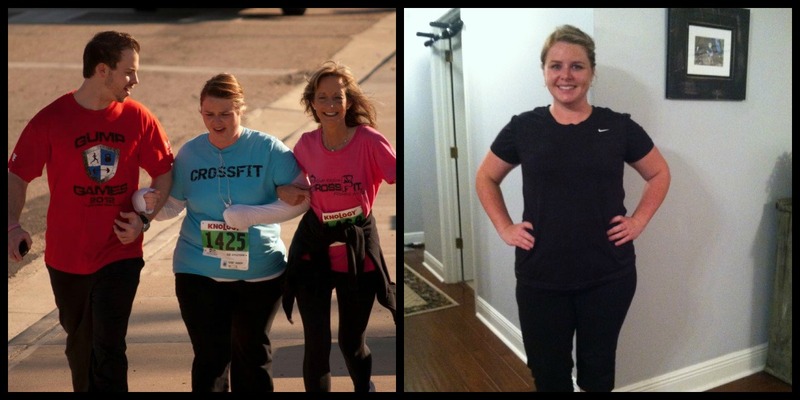 As I’m running, I see my other fellow CrossFitters – they are also giving it all they’ve got. We’re cheering each other on – we can do this. And we did. All of us. We ran it straight. My time for the 1600 meters was 12:11. I stepped into the box and my coach, Josh, was like – FLETCH, you finished???? And I just nodded and started crying. Man, what a feeling. One more goal – accomplished. Why was this a huge deal? 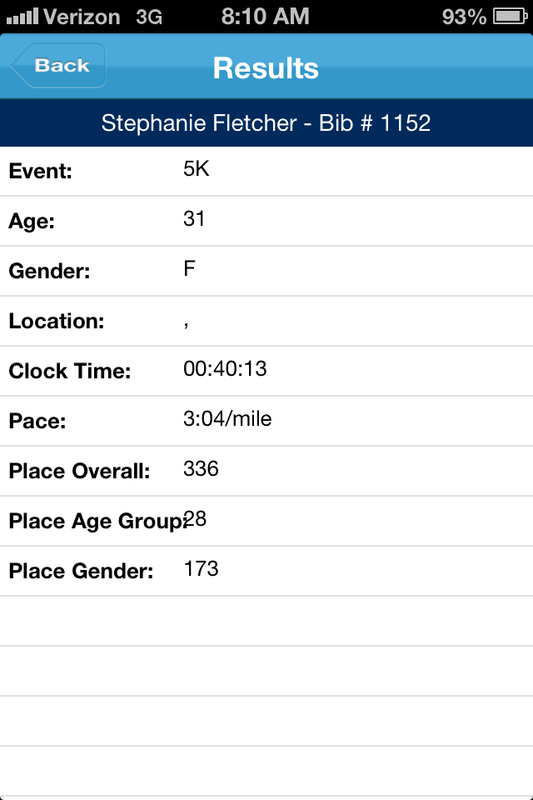 Well, back in January after CrossFitting for one month – I attempted to run the 5k at the Gump Games. I had terrible shin splints and spent a little extra time with my coach, Josh, trying to fix the problem. He taught me the correct way to run, but I still wasn’t strong enough to run most of it. As I’m crying and walking the last part of the route, I see this woman – she came to find me – and she started walking with me. Come to find out “she” was my coach’s, Wes, mom. 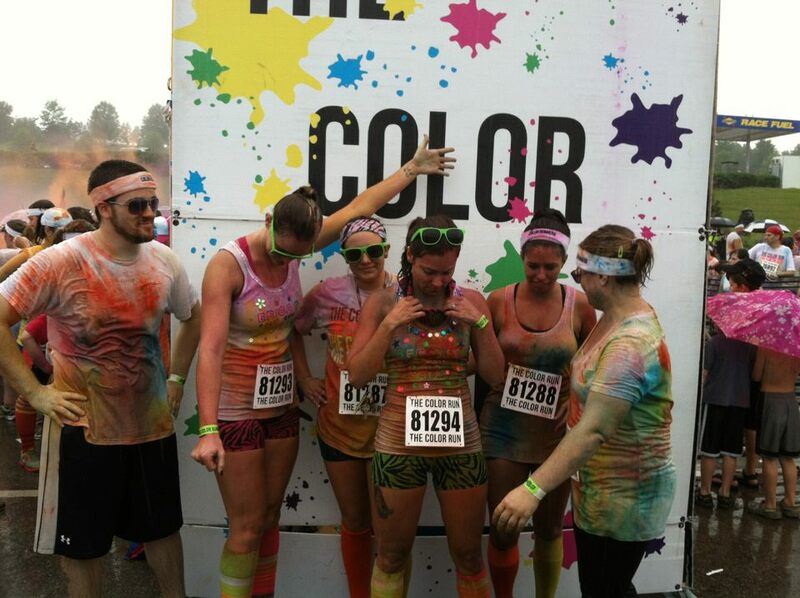 She kept telling me it was great that I was attempting the 5k. We rounded the corner and then I see Wes. They both walked with me to the finish line. If that isn’t encouragement, I don’t know what it is. THIS, is what CrossFit is about. It’s about becoming part of a family – one that wants YOU to succeed. Here’s a photo I put together. 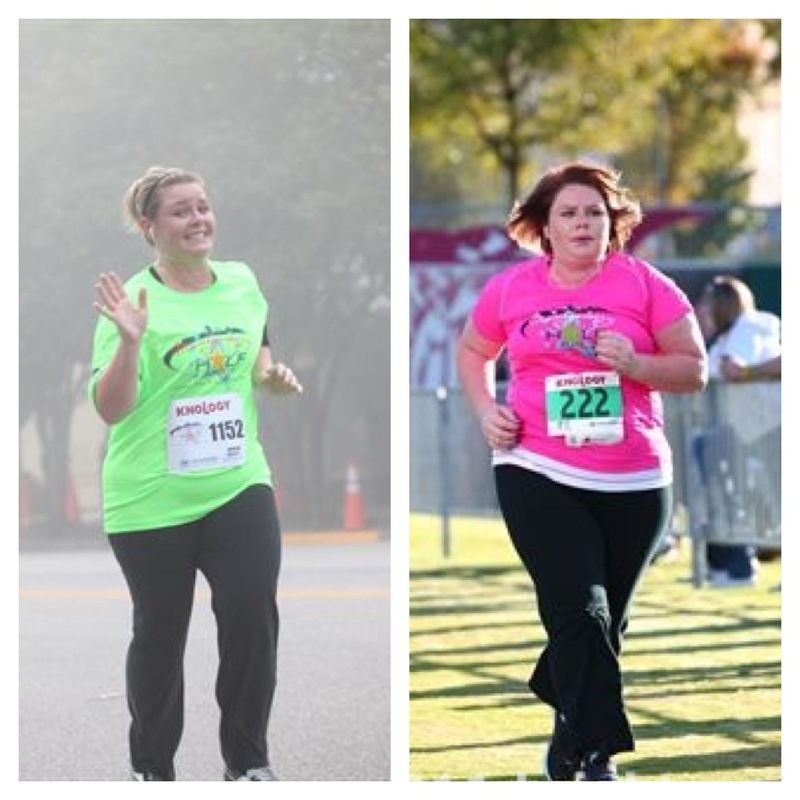 The left photo (taken by Rich Matlock) was taken during the last leg of the 5k at the Gump Games and the right photo was taken tonight by my hubby. Like I said, don’t wake me up.